This is the south part of the 100 Things to do within 100 miles of Fort Rucker: The Ultimate Day Trip List. 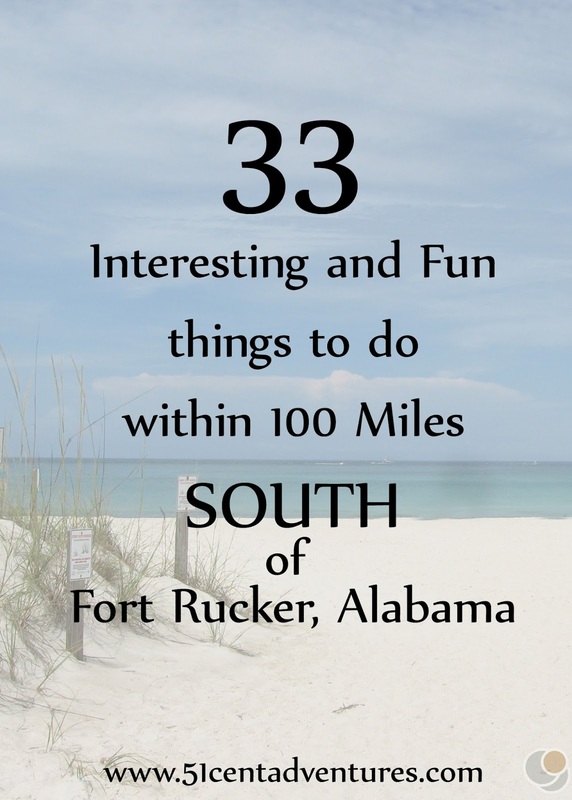 Make sure you also check out the lists of things to do North, East, and West of Fort Rucker. Cost: Prices for produce and activities varies. Contact the company for details. Hours: Hours vary by the season. Contact the company for current hours. During most of the year you can buy fresh produce from Alpin Farms. They have various foods that you can pick yourself. In the fall, the farm really comes to life and provides pumpkins, wagon rides, farm train rides, corn mazes, and other harvest themed fun. 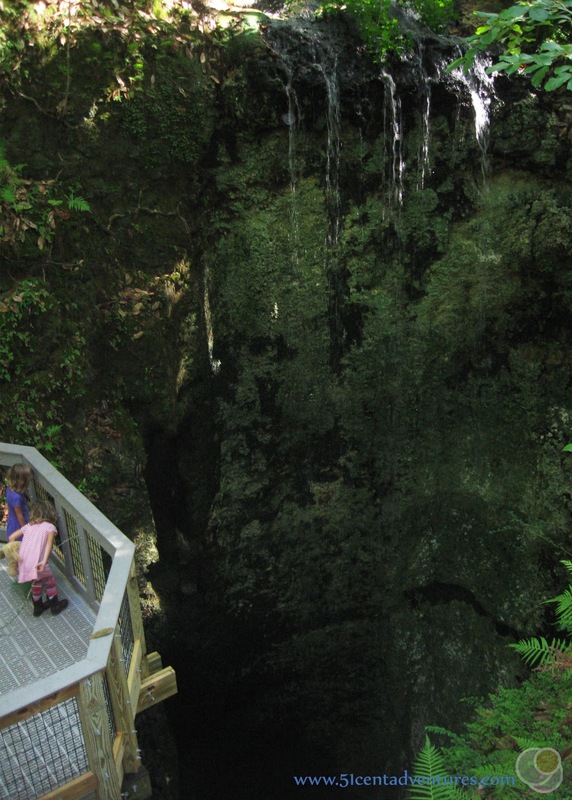 This state park is home to a 73 foot waterfall that cascades over a cliff and down into a sink hole. Viewing platforms help you get a good look at the water as it disappears. There are boardwalks that lead to other sink holes. The park also has a pretty lake with a small beach of pure white sand. This lake is a fun place to go swimming on hot summer days. Camping is also available at this park. Cost: Swim pass - $8 per person all day until dark. Dive pass - $20 per person all day pass until 11:00 pm. This privately owned recreation area is home to natural springs where you can swim. But this isn't your typical swimming hole. There is a 9 foot high dive and a zip line that will take you right into the water. The springs aren't just for surface swimming either - this is the largest diving facility in the state of Florida. Away from the water there are plenty of nature trails to explore. There are even cabins available to rent at the resort so you can enjoy the springs on multiple days. This is a day use only state park with a clear spring. The park is a great place for a picnic and provides an opportunity to cool off on a hot day. Click here to read about my family's visit to this state park. Cypress Springs is a beautiful natural spring on Holmes Creek. The spring itself is located on private property so you have to reach it by paddling on the river. A popular place to launch canoes and kayaks is the Culpepper Boat Ramp. From there you paddle upstream to reach the spring. You can also rent canoes from outfitters on the river. Snaggy Bend is located a little upstream from Cypress Springs so you can rent a boat from them and then paddle down to the spring. Hours: Open from 8:00 to 3:00 seven days a week. Equipment needs to be back to the park by 7:00 pm unless overnight camping.. This outfitter is downstream from Cypress Springs, but the current is slow enough that it shouldn't be hard to reach the spring. You can also venture out and explore more of Holmes Creek. As an added bonus, there is a zipline located adjacent to the canoe rental. Hours: Usually open Wednesday – Saturday, 9:30 am to 5:00 pm. Only open Friday and Saturday in January. This locally owned vineyard provides free tours and wine tasting. This would be a great place to stop on your way down to Panama City Beach. 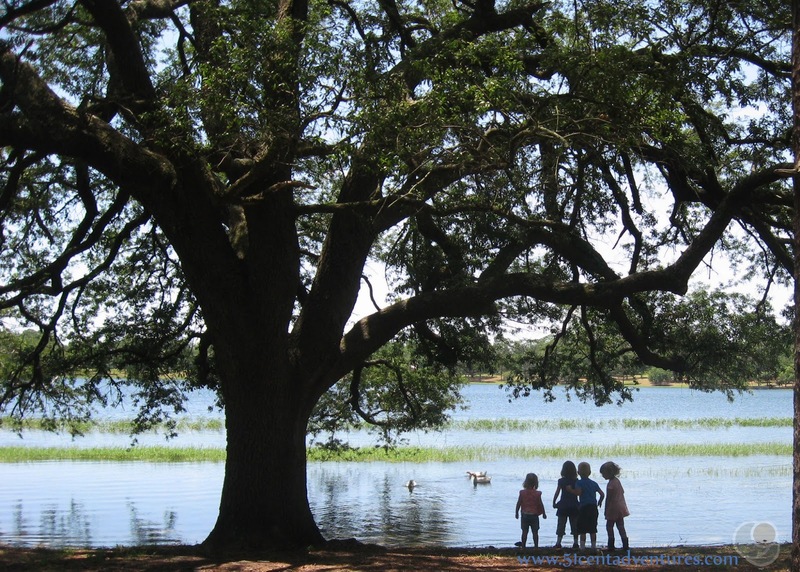 This 40 acre spring fed lake is adjacent to historic Defuniak Springs, Florida. The almost perfectly circular lake has many beautiful points of interest including an amphitheater and two fishing piers. Swimming is not allowed in the lake, but boats are as long as they have a motor of less than 1 horse power. The town often holds free outdoor events on the lake shore. Picturesque southern homes line the street that surrounds the lake. Hours: Tuesday - Saturday 1:00 to 4:00 pm. 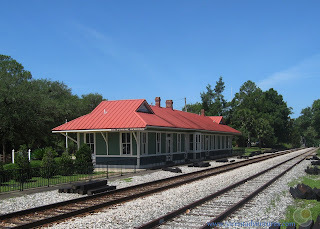 This museum is housed inside a historic train depot, and is adjacent to operational train tracks. A train caboose sits outside the museum. This vineyard is located to the north of Interstate 10 which makes it a convenient stop on the way to the beach. 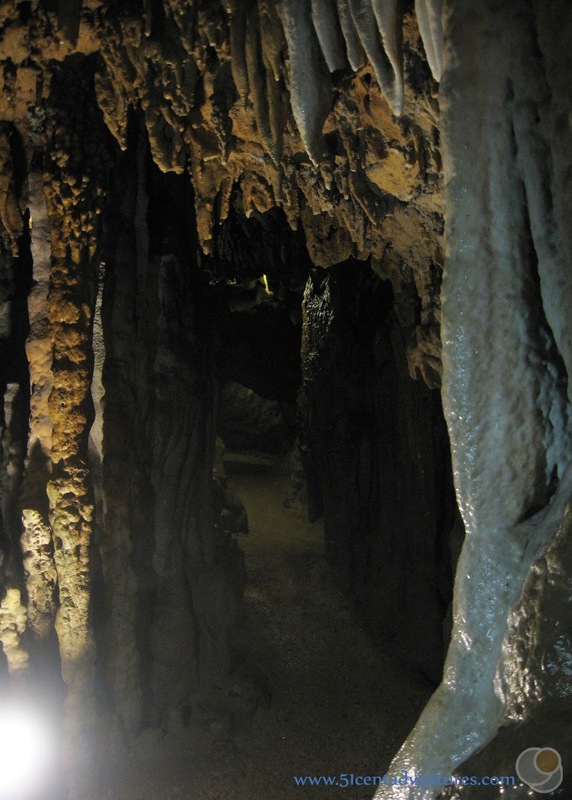 Cost: Admission to park is $5 per car and then cave tours are $8 for adults and $5 for children. 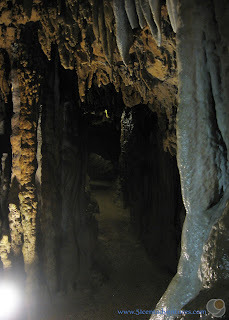 (This an amazing deal as most cave tours cost about $18 for an adult.) Camping starts at $20 per night. Cost: Kayaks start at $35, Canoes start at $40, Tubes start at $15. There are a variaty of price packages available. Bear Paw Adventures is the place to go to get equipment and shuttle service for a day on the Chipola River and Spring Creek. They provide kayaks, canoes, and even water tubes for a variety of different trip packages. Hours: Open during the summer. Check website for exact dates. Park Gates Open from 9:30 am to 6:00 pm. Water is open from 10:00 am to 5:30 pm. This spring fed recreation area is maintained by Jackson County which has recently revitalized the area. The water is great for swimming or boating. There are even volleyball courts and a children's playground if you get tired of the water. Econofina Creek bills itself as "Florida's Most Beautiful Canoe Trail." As you paddle on this creek you will pass 6 springs where you can get out to swim. Historic buildings from all over Calhoun County were relocated to this living history museum. Different classes teaching skills ranging from blacksmithing to jelly making are offered for an additional cost. Though out the year the settlement holds many community events. Cost: $2 per person over the age of 6. Children under 6 are free. Camping starts at $10 for the primitive sites and $20 for the regular sites. This state forest is located to the north of Panama City Beach. It's primarily used for hiking though swimming is available at the lake. There is also a campsite with showers. This state park is located to the west of Panama City Beach. The park has recreation areas on the shores of the Gulf of Mexico and on the shores of Lake Powell. This park is just for day use only so there isn't any camping available. 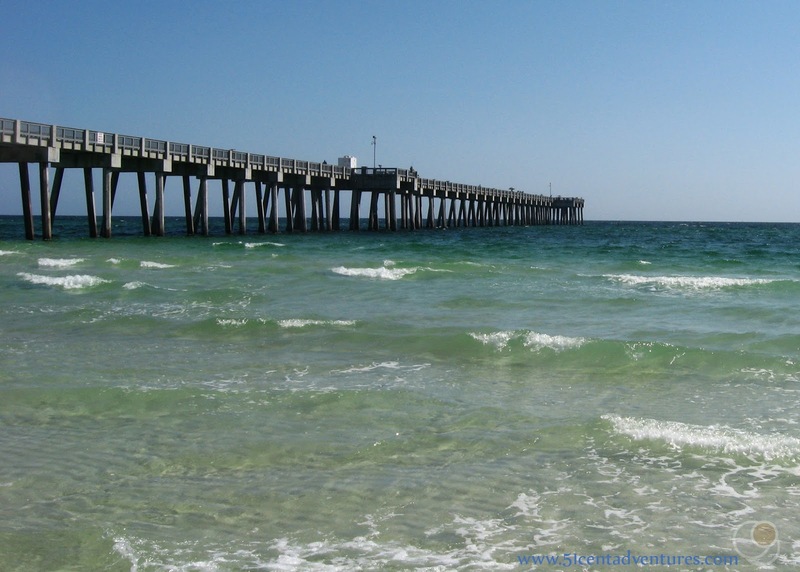 There are two piers in Panama City Beach. Cost: $3 to walk on the pier, $6 to fish from the pier. Children under 6 are free. Parking and use of the beach is also free. 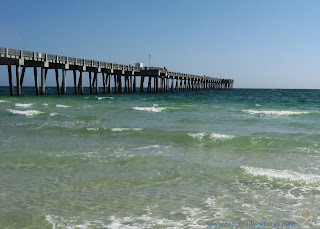 This pier is the longest pier on the Gulf of Mexico. 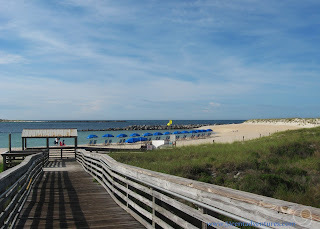 You can fish from the pier or just walk along it and look for dolphins and other wild life. There isn't much parking near this pier, but it is located near the Pier Park shopping area so it's easy to park there and then walk to the City Pier. 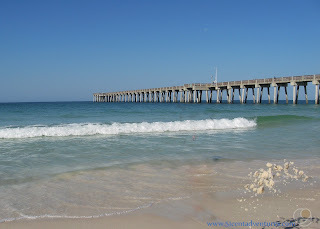 The beach next to the pier is one of the only dog friendly beaches in Panama City Beach. As with the city pier you can fish from the pier or just walk along it and look for dolphins and other wild life. There is a large parking lot adjacent to this pier, as well as a building with bathroom facilities. Cost: General Admission is $24.99 for adults and $18.99 for children. The Combo Ticket for everything is $33.99 for adults and $27.99 for children. If you've driven through Panama City Beach you've probably noticed the building built like an upside down house. That is the Wonderworks building. This is sort of like an indoor amusement park, but with more than the standard attractions. It's aim is to entertain and educate. There are more than 100 hands on exhibits. In addition to the fun, educational stuff there is also a laser tag arena, and a glow in the dark ropes course. This is the other memorable building in Panama City Beach. This building is shaped like a giant sinking ship on the outside. Inside you'll find one of the Famous Odditoriums full of odd things like shrunken heads. There are other attractions available such as a mirror maze, a 7D theater, and a laser race. This zoo is located in Panama City Beach and is home to many different animals - some of which are endangered. For an additional price, the zoo provides many additional experiences such as feeding alligators. 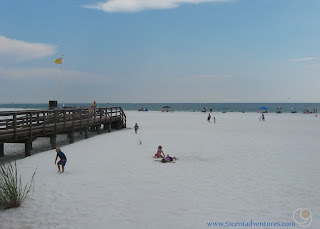 There are many different places for family fun in Panama City Beach. Highlighting them all separately could be it's very own blog post. Instead here is a somewhat complete list. From what I can see prices for each place are all very similar. This city park is located on the Eastern side of the city. 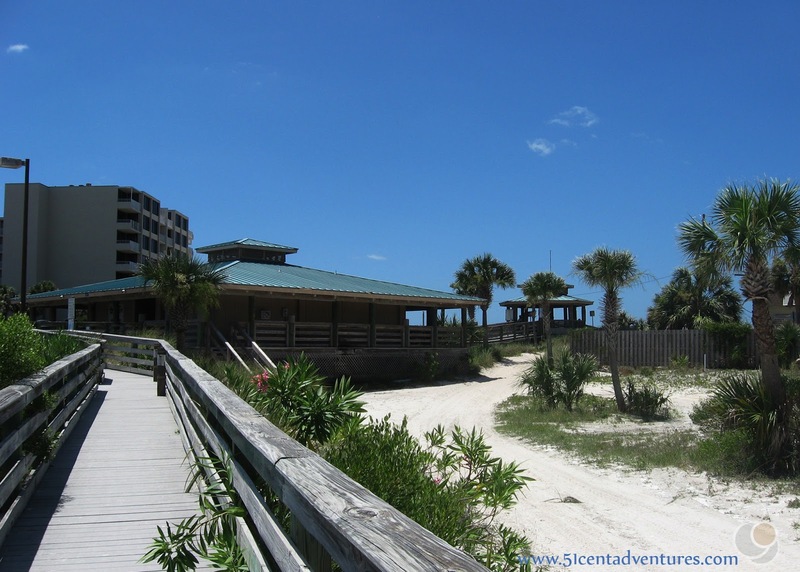 Its provides beach access and has a large parking lot as well as bathrooms. There is nothing spectacular about it, but it's always nice to know that you can have somewhere to park and to change before heading to the beach. There are many different companies that provide deep sea fishing trips out of Panama City Beach. As with miniature golf, highlighting them all separately could be it's very own blog post. The following is probably and incomplete list, but it will help you get started. Cost: $8 per car for day use. Camping starts at $28.00 per night. 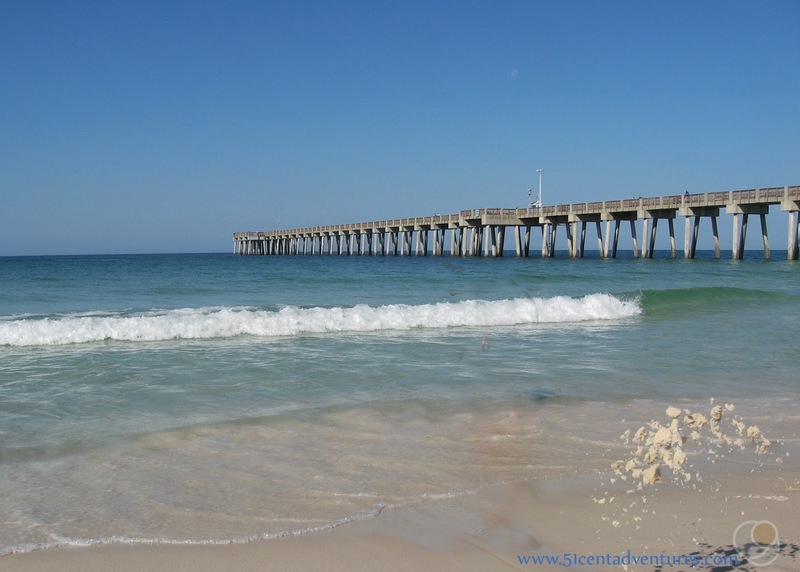 St. Andrews State Park has the most beautiful beach in all of Panama City Beach. The park is on a peninsula east of the city. You can choose from swimming on the beach or you can swim in a sheltered lagoon. Fishing piers and a jetty are also part of the park. There are even places to scuba dive. If you choose to stay the night you can camp in the campground located on the bay side of the park. An additional feature of St. Andrews State Park is Shell Island which isn't far from the Lagoon. You can take your own boat over there or you can book a shuttle from one of the many companies that sail to Shell Island. 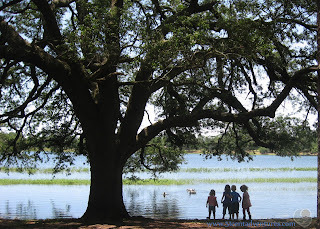 Read about my family's visit to St. Andrews State Park by clicking here. Across the bay from the city of Panama City Beach is plain old Panama City. This city doesn't have exciting beaches, but it does have this publishing museum housed in a historic building. This small park along the water in Panama City is home to The Sentry, a live oak that is estimated to be over 250 years old. Situated between Panama City Beach and Destin is the town of Santa Rosa. This town is home to Grayton Beach on the Gulf of Mexico. 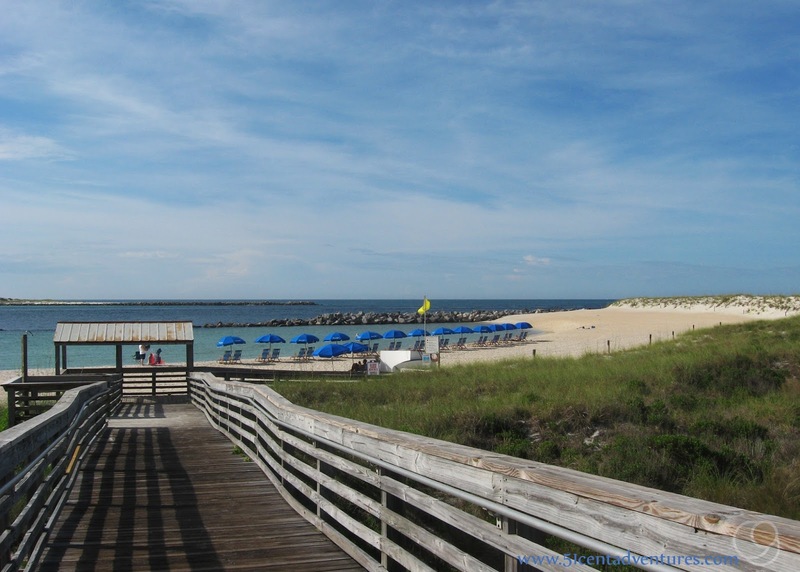 This state park is often referred to as one of the prettiest beaches in America. In addition to swimming in the gulf you can also paddle on Western Lake You can camp or stay in a cabin. Cost: Admission to the park costs $4 per vehicle. Tours of the historic Wesley House cost $4 for adults and $2 for children. Hours: The park is open from 8:00 am to sunset every day. Tour of the house are offered from Thursday thru Monday, 10:00 a.m. to 3:00 p.m. hourly. The main attraction at this state park is the historic Wesley House. This two story home dates back to 1897. It has been painstakingly restored and is available for tours. This charming waterside community is part of the Sandestin Golf and Beach Resort, but it is open to the public. The shops, restaurants, and galleries are all welcoming of visitors. Throughout the year the community holds free events. They even provide free parking and free parking shuttles during the summer so more people can make it. This is another beautiful state park on the Gulf of Mexico. As with all the other beaches on this list, you'll find sugar white sand and emerald water waiting for you. Camping is also available at this state park. Hours: Monday through Saturday from 9:30 am to 4:30 p.m. Closed on federal holidays. Outdoor air park with 25 aircraft is open during daylight hours. Eglin Airforce Base is north of Destin, Florida. The museum is part of the base, but it is open to the public and you don't even need to obtain a visitor's pass to reach the museum. There are 25 aircraft outside the museum, and interesting displays inside. Any aviation lover will enjoy this museum. This is the place to visit for any marine life lover. You'll see fish, dolphins, turtles, and more. The park offers a variety of additional animal encounters for an additional price. Cost: $3 per vehicle Monday through Friday, and $5 on weekends or holidays. Hours: Open from April through October but dates and hours vary. Check the website for exact hours. This place is just outside the 100 mile zone, but I'm including it because its such a great deal for military members and DoD personel. This beach is similar to all the other beaches on this list, but it is basically a private beach just for people affiliated with the military. Just bring your military ID and show it to the parking lot attendant. In addition to beautiful sand and water this beach has a large pavilion, restroom facilities, and showers. Those showers make this place worth the drive. It's so nice to have a place to shower before starting to drive back to Fort Rucker. Half of Destin lies beyond the 100 mile mark. Fort Walton is only a little bit further. Both cities offer plenty to do. I also recommend going a little bit more southeast past Panama City Beach. Mexico Beach and St Joseph Island both have great reputations. St Joseph State Park has the BEST beach I've visited on the Gulf of Mexico.